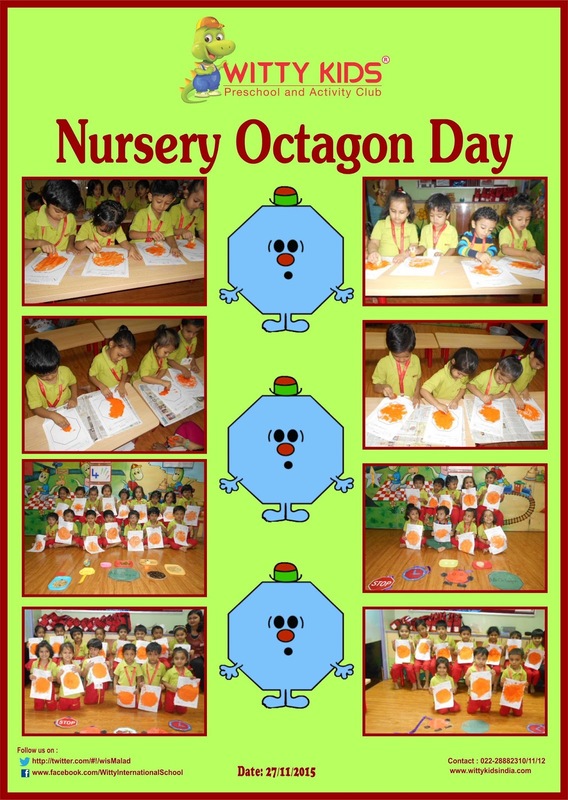 On Friday, 27 November 2015 little Wittians of Nursery class celebrated “Octagon Shape Day”. The class was decorated with different Octagon shape objects. 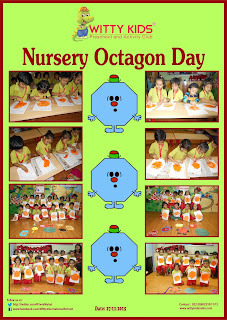 Teachers introduced the shape ‘Octagon’ with the help of a story and octagon shape cutouts. Children enjoyed sponge dabbing on Octagon worksheet.